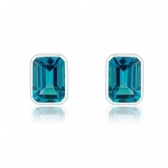 This beautiful pendant features a London Blue Topaz which has a noticeably darker rich blue than regular blue Topaz. 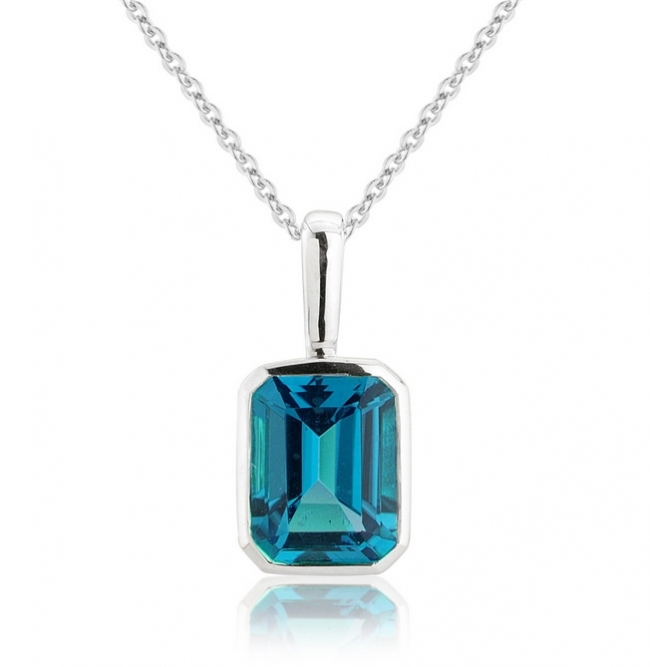 This pendant features a single 7x5mm emerald cut drop in a solid 9k white gold bezel setting, also featuring an adjustable 16'' to 18'' white gold chain. Delivered free with luxury wooden gift box, authenticity certificate and a full 12 month guarantee.